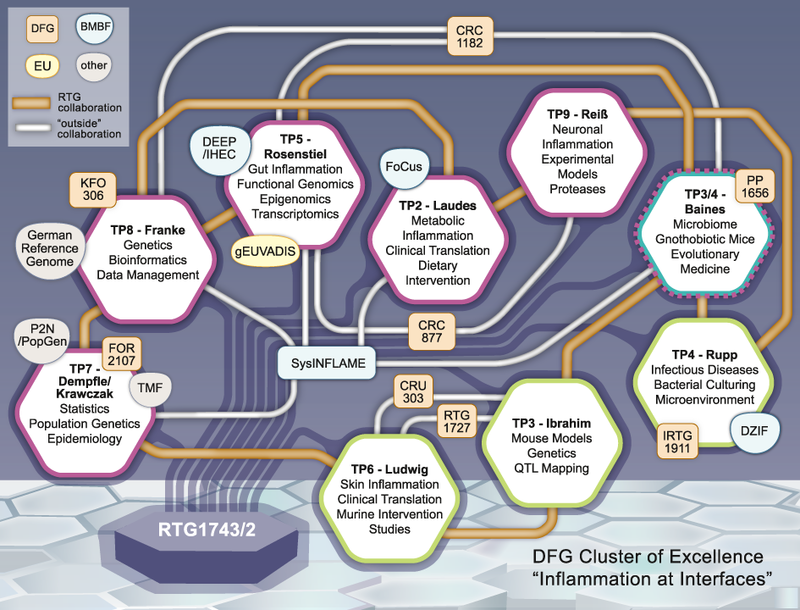 Both institutions are actively participating in the DFG Excellence Cluster “Inflammation at Interfaces”. A group of scientists working together at these institutions initiated this Research Training Group. Together, they stand for expertise, innovative approaches and the belief that interdisciplinary research will be the most promising. DNA lab / genexpression / genotyping / sequencing / functional genomics (cell and mouse models) / microbiome lab. We exchange experiences with the DFG Research Training Group 1727 "Modulation of Autoimmunity" in Lübeck. The cities of Kiel and Lübeck are directly located on the Baltic Sea. They offer nice beaches, a bundle of opportunities for sports, as well as a vivid cultural and student life. 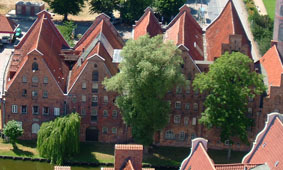 In 1987, UNESCO, declared the historical city of Lübeck to be a World Cultural Heritage Site. The Research Training Group Genes, Environment and Inflammation is funded by the Deutsche Forschungsgemeinschaft DFG.